Find a vacation home to rent in Chemnitz from our list of vacation rental properties. 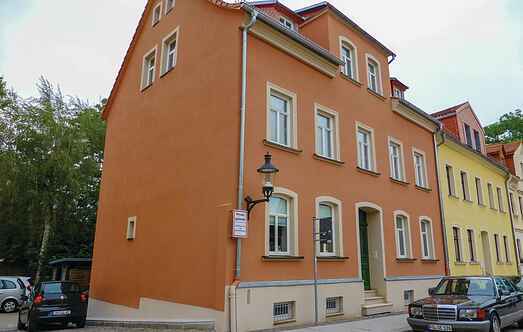 Campaya has over 103 vacation homes available in Chemnitz, which give you the possibility to locate a unique accommodation in Chemnitz which completes your check-list in search for the perfect self catering vacation apartments in Chemnitz or vacation villas in Chemnitz. This cosy cottage at the border of the village is in the serene location of a garden plot, where vegetables and fruits are grown. You can also use the fresh produce. These three beautiful holiday houses have been completely renovated and offer a comfortable and cosy accommodation on a large, enclosed scenic plot on the outskirts. The low-barrier apartment is located in the basement of the house in Freiberg and provides sufficient comfort for your stay. This comfortable holiday home is located in the quiet suburb of Auerbach, on the countryside. Everything is neatly organised. Located in the forest, in the beautiful Vogtland, this rustic house is. Enjoy your holiday surrounded by nature. In 2017 the house was partly renovated, it is rustic. This cosy home is in countryside near spa and recreational park. The top floor ceiling has a sloping roof. Infants are allowed only on prior request. This pleasantly furnished home with country furniture is on the top floor. There is a wonderful garden in this home with different seating furniture. This wonderful house is furnished in Canadian style. The interiors are elegant and cosy. This place is suitable for big families or for a holiday with friends. This fashionably furnished holiday home is on the landlord’s property. There is a pond for swimming and a shared barbecue. A narrow staircase leads to the top floor. This cosily furnished holiday home on a large, scenic plot is located in Vogtland path, on the village border. This modernised and comfortably furnished apartment, which is the former gatekeeper's house on an inoperative railway line, is located in the wild, right on the edge of the forest. At the edge of state-recognized resort Schnarrtanne the house is located on a 2,700 sqm plot. On the ground floor of the holiday house is the living area and the kitchen.